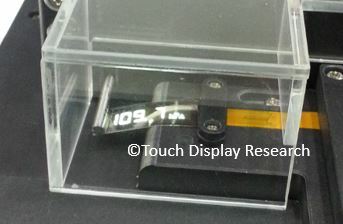 October 2015 - Touch Display Research, Inc. Started last year, FlexTech Alliance, a research consortium and trade association, (of which Touch Display research is a member), proposed to US government a San Jose-based hub to create the FHE MII (Flexible Hybrid Electronics Manufacturing Institute) which comprises 96 companies, 11 laboratories and non-profits, 43 universities, and 15 state and regional organizations. This broad-based support underscores the market potential for flexible hybrid electronics, and reaffirms Silicon Valley’s role as an essential hub for innovation. On August 28, 2015, The U.S. Department of Defense (DoD) awarded FlexTech Alliance a Cooperative Agreement to establish and manage a Manufacturing Innovation Institute (MII) for Flexible Hybrid Electronics (FHE MII). The award is for $75 million in federal funding over a five-year period and is being matched by more than $96 million in cost sharing from non-federal sources, including the City of San Jose, private companies, universities, several U.S. states, and not-for-profit organizations. 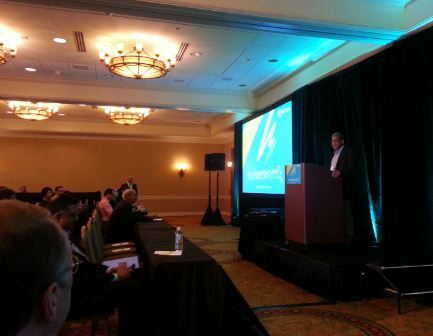 NextFlex will be headquartered in San Jose. The Institute will distribute R&D funds via competitively-bid project calls. Happy birthday NextFlex! 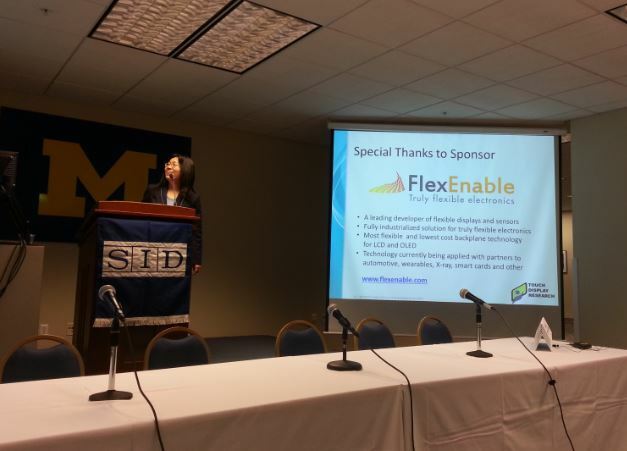 This entry was posted in Company News, Displays, Flexible curved display, Flexible hybrid electronics and tagged DoD, FlexTech Alliance, NextFlex, San Jose on October 29, 2015 by jennycolegrove. 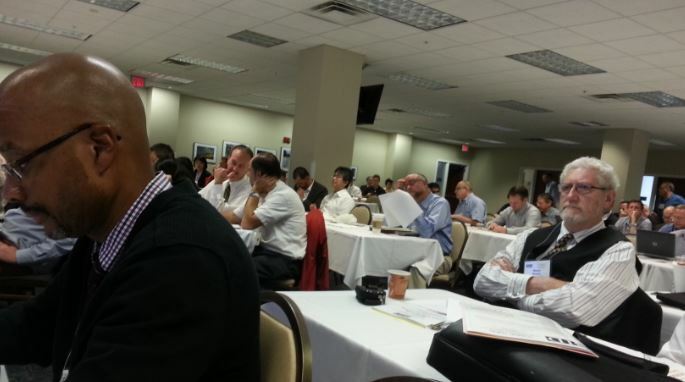 I just came back from the Vehicle Display 2015 Conference, at Dearborn, Michigan. 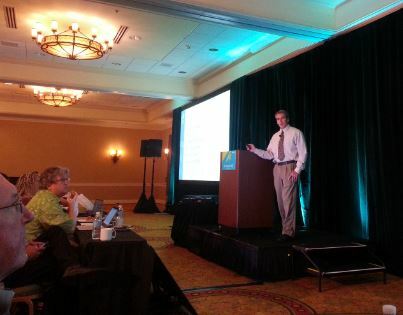 It’s a very successful conference with about 200 attendees. It’s my honor to meet some of you in person. Photo by: Dr. Ruffin at Corning. This year’s conference also have the record high number of exhibitors. 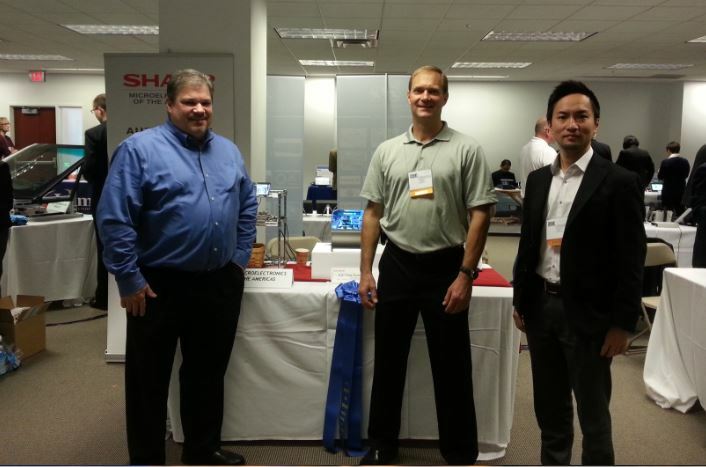 Sharp won the “Best in Show” exhibitor award this year. (Futaba won last year). More analysis and review of the Vehicle Display 2015 Conference can be found in the “Touch and Emerging Display” November monthly report. This entry was posted in Displays, Touch screens, touchless control and tagged FlexEnable, flexible display, Sharp, Touch panel, touchless HMI market, vehicle display conference on October 26, 2015 by jennycolegrove. At this conference, my Intel alumni and president of USI (Universal Stylus Initiative), Mr. Pete Mueller introduced USI and its work on active pen. 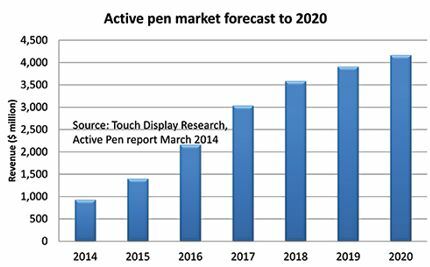 In the Active Pen Technologies, Supply Chain and Market Forecast report, Touch Display Research forecasts that the market for active-pen writing modules (including pen sensor, one pen, and the controller IC) will increase from $931 million in 2014 to $4.17 billion in 2020. 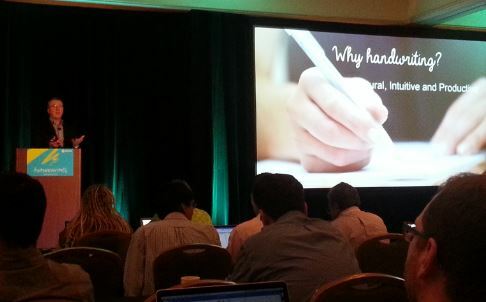 More analysis of the Digital Writing Conference can be found in the “Touch and Emerging Display” monthly report. This entry was posted in Active Pen, Touch screens and tagged active pen, Active Pen market forecast, Digital writing, MyScript on October 19, 2015 by jennycolegrove. At Touch Taiwan 2015, I had a chance to visit RitDisplay booth. RitDisplay showed two flexible PMOLEDs: one is fixed curved, one is bendable in a box. Visitors can bend the display by pushing a button outside of the box. RitDisplay plans to mass produce the flexible PMOLED by end of this year. The flexible OLED Display Industry Ecosystem includes over 180 Companies and Research Institutes. There are 14 display manufacturers are (or will soon) producing flexible OLED. 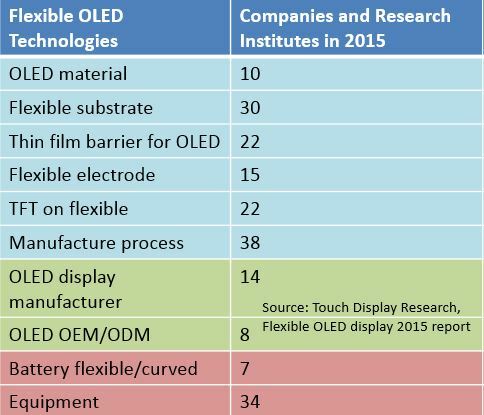 The Flexible OLED Display Technologies and Market Forecast 2015 report is available immediately and includes a PowerPoint file (over 300 pages) and an Excel database. This entry was posted in Displays, Flexible curved display, Flexible OLED, OLED, wearable and tagged flexible and curved, flexible OLED, flexible OLED ecosystem, OLED, PMOLED, RitDisplay on October 16, 2015 by jennycolegrove. This week, Applied Materials announced two new systems that enable the volume production of flexible OLED displays for mobile products and TVs: the Applied AKT-20K(TM) TFE PECVD* and Applied AKT-40K(TM) TFE PECVD. These equipment could build barrier films with very low water and oxygen penetration rate. “The advances in size, resolution, picture quality and form factor creates considerable market opportunities for display makers to bring new flexible products to market,” said Dr. Brian Shieh, vice president and general manager of Applied’s Display Products Group. The flexible OLED Display Industry Ecosystem includes over 180 Companies and Research Institutes. Thin film barrier for OLED technology attracted 22 companies working on it; 34 companies are active on manufacture equipment; 30 companies are active on flexible substrate. This entry was posted in AMOLED, Flexible curved display, Flexible OLED and tagged Applied Materials, barrier film, ecosystem, equipment, flexible and curved, flexible display, flexible OLED, flexible OLED market on October 13, 2015 by jennycolegrove. Quantum dot technology could improve Liquid Crystal Display (LCD) dramatically in terms of color gamut, color accuracy, and reducing power consumption. This is one of the biggest breakthrough technologies for LCD in recent several years. Cadmium-free quantum dot is entering the market in 2015. 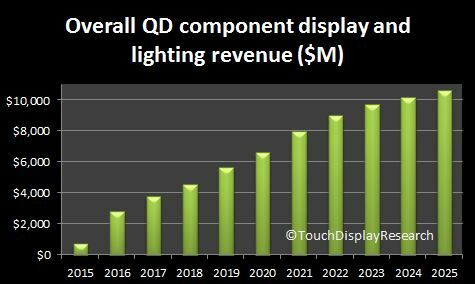 Touch Display Research forecasts that the quantum dot display and lighting component market will surpass $2 billion by 2016 and reach $10.6 billion by 2025. Over sixty companies are working on quantum dot materials and quantum dot components. This entry was posted in Displays, Quantum dot and tagged quantum dot, quantum dot display, Quantum dot market forecast, quantum dot TV, Vizio, Vizio TV on October 6, 2015 by jennycolegrove.